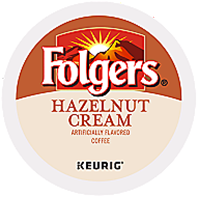 The sweet buttery flavor of hazelnut blended perfectly with Folgers medium roasted beans. A delicious treat for anytime of the day. 96 Count $55.80 $53.80 On Special!